Are faulty workmanship claims covered by your Commercial General Liability Policy? Maybe or maybe not under Ohio law. Come learn how the recent supreme court decision under Westfield Insurance Co. vs Custom Agri Systems, Inc. is impacting insurance coverage in Ohio. What is covered by your Liability Policy, what is excluded and what can you do to reduce the risk to your business? Understanding these issues is important to your construction company. Join Kegler Brown and Overmyer Hall Associates for a free, morning briefing on Thursday, January 28, that will provide attendees with information and insight on best processes and procedures involving faulty workmanship. Eric Travers is a director at Kegler Brown and practices in the firm’s Construction Law area, representing subcontractors, general contractors, owners, suppliers, architects, sureties, construction managers and others. 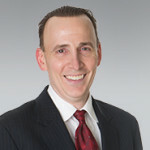 He advises construction businesses and owners in all aspects of construction law, including resolution of payment disputes, contract drafting and negotiation, bid qualifications, risk management strategies, and preserving, perfecting and enforcing/defending mechanic’s lien, bond claims and resolving OSHA citations. Joe Urquhart specializes in insurance and risk management programs for all types of Contractors, as well as real estate developers and owners, and manufacturers. Urquhart holds a degree from Bowling Green State University. He has also earned the Chartered Property Casualty Underwriter (CPCU) and Construction Risk and Insurance Specialist (CRIS) designations. At Overmyer Hall Associates he advises clients on insurance issues such as risk transfer, builders risk, additional insured’s, professional liability and loss control. He is a member of the BX, ABC, AGC, CFMA and OCA. Joe is a current board member of ABC Central Ohio, past board member of ASA of Ohio, and ASA of Central Ohio. He serves on the steering committee for the BX’s Safety Council. He is a member of Charity Newsies, past President of the Bishop Watterson School Board, and former board member of the Waterson Finance Committee, North Broadway Children’s Center and Northwest Swim Club. Please register for this free event by Thursday, January 21, by clicking the RSVP button below or by contacting Lindsey Fox, [email protected] or (614) 462-5481.